After departing Colonia del Sacramento we headed to Punta del Diablo where we spent a week in a beach-front cabaña followed by two days exploring Montevideo before boarding our plane back to Mexico City. Uruguay is a beautiful country and our time there was the perfect end to an amazing year of travel, adventure and new experiences. Thanks to everyone for following along with us! 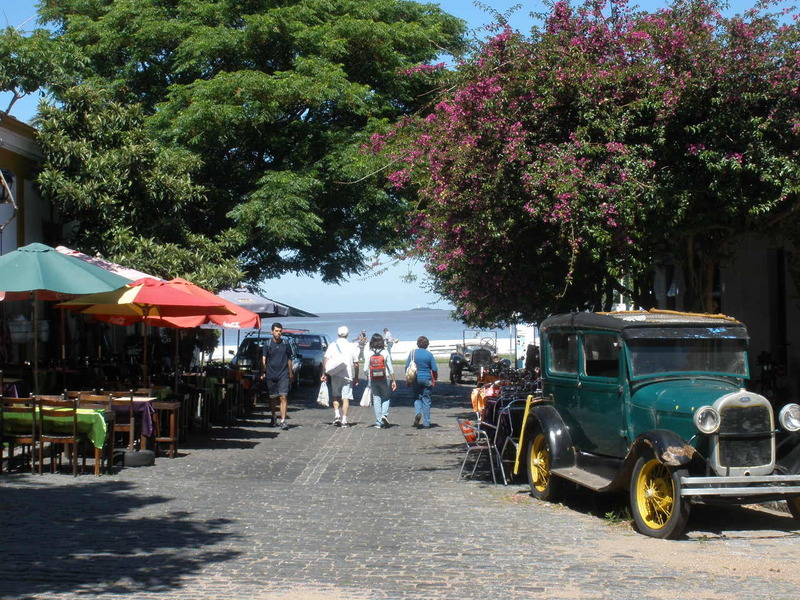 Overlooking the Rio de la Plata, the winding cobblestone streets of Colonia del Sacramento attract tourists from all over the world. Originally founded by the Portuguese in 1680 as a port from which to smuggle goods across the river to Buenos Aires and captured by the Spanish less than 100 years later, Colonia’s intriguing history makes it stand out among other small river towns of Western Uruguay. Our final border crossing was our first border crossing by boat and, as it turns out, also one of our easiest. 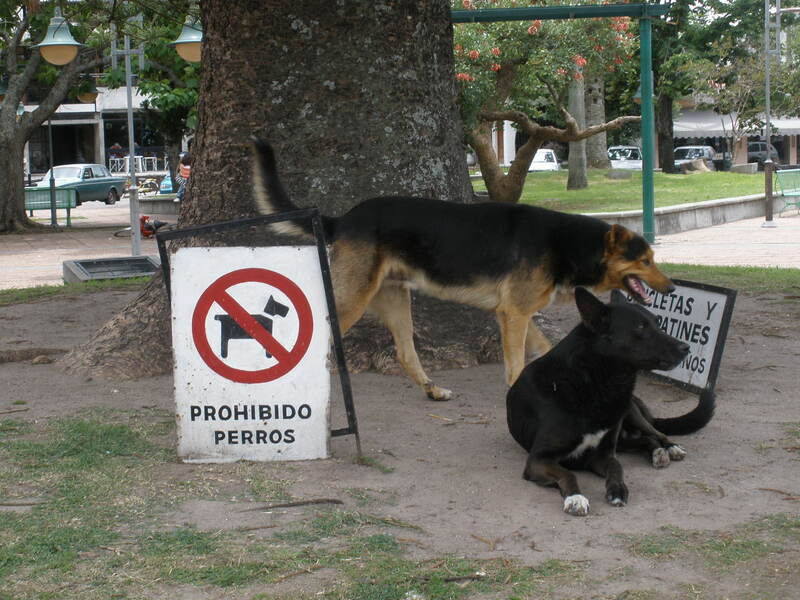 From the Buenos Aires suburb of Tigre we sailed across the Delta del Paraná to the Uruguayan town of Carmelo. 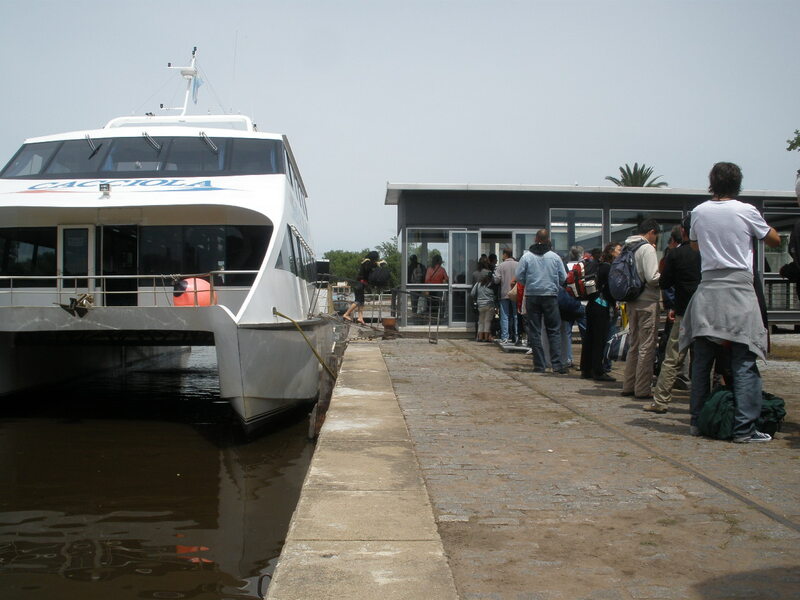 It’s also possible to travel by boat directly from Buenos Aires to Colonia del Sacramento or Montevideo, but this particular border crossing is said to be the most interesting and cheapest of crossings between the two countries. 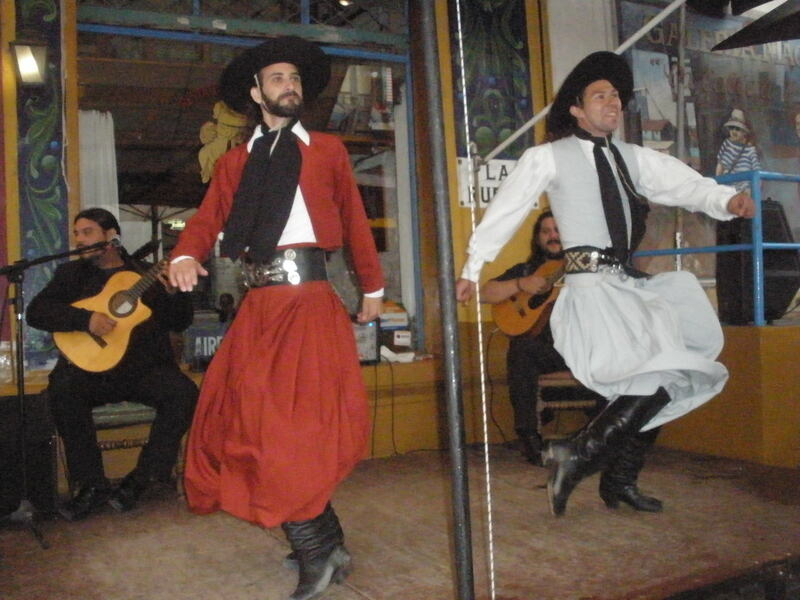 Prior to departing for Uruguay we spent one day and night in Tigre, a small riverfront town and popular porteño weekend destination. 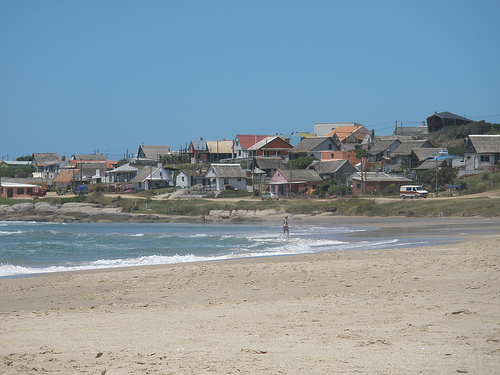 A two hour boat ride the next morning followed by simple immigration procedures carried out at the port brought us to Carmelo, Uruguay where we spent a relaxing afternoon. From Carmelo we traveled another hour by bus to Colonia del Sacramento. 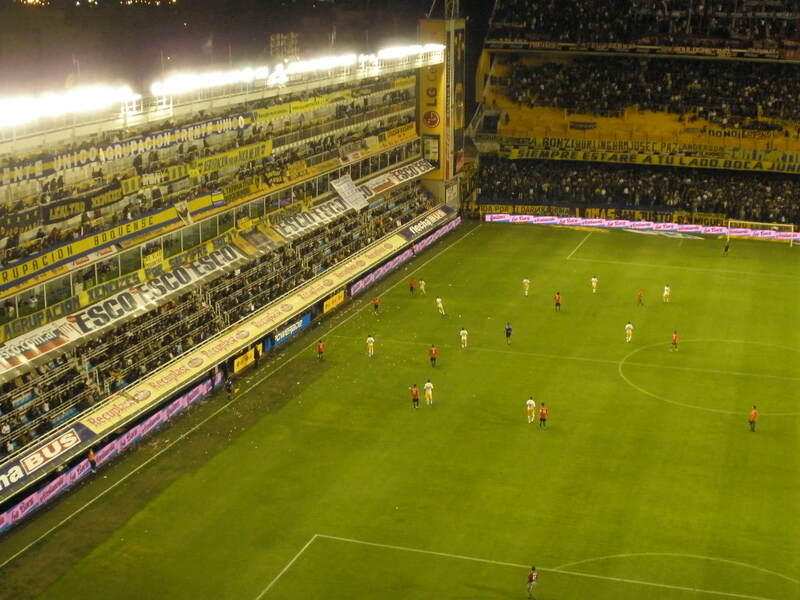 Our last night in Buenos Aires we headed to La Boca to watch the Boca Juniors, one of the city’s most popular fútbol (soccer) teams, take on Independiente. Unfortunately, our being there cheering them on didn’t make too much of a difference and they lost. Even so, it was still a great game with lots of excitement out on the field and lots of emotional fans up in the stands. 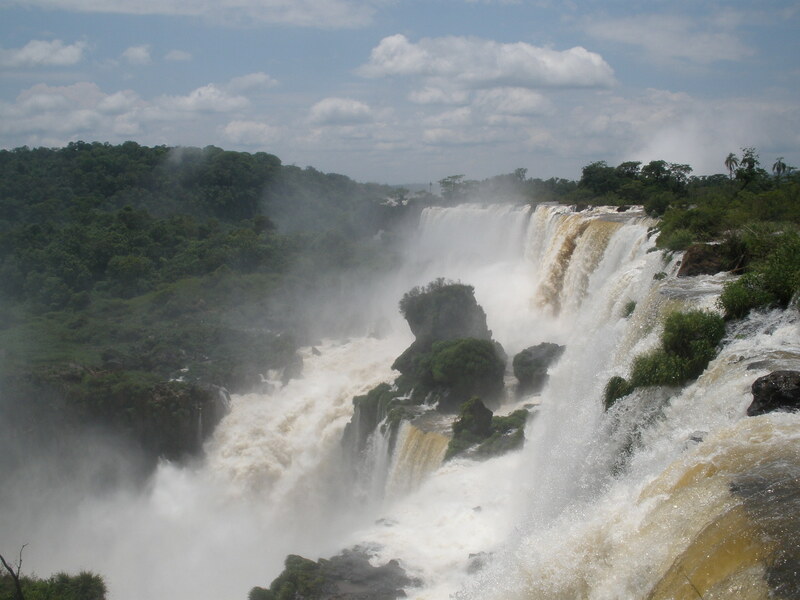 Located where the borders of Argentina, Paraguay and Brazil meet and shared by both Argentina and Brazil, the waterfalls of Iguazú National Park are a truly spectacular natural wonder. The sheer size and force of the falls is enough to take your breath away and the most awesome is the semicircular Garganta del Diablo, or Devil’s throat, a lookout point perched right on the edge of the falls.